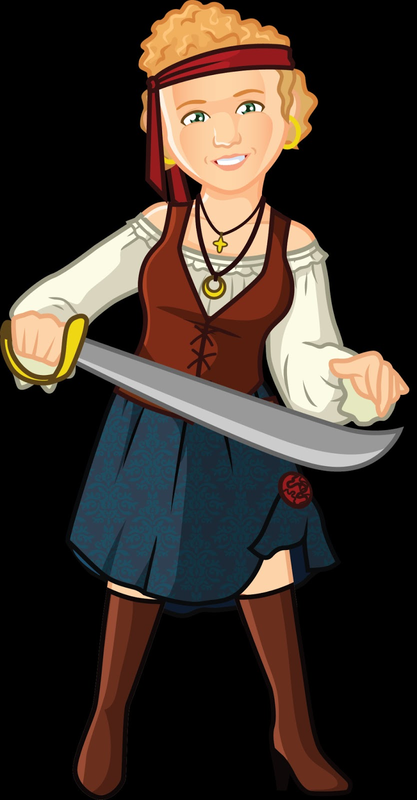 Haven't you always wanted to be a cartoon pirate? This year at convention Chad and Rachel surprised me by presenting me with my very own pirate likeness. My kids think it is hilarious, well except my youngest, who is 3. He told me "Mom, You don't have a hat, all pirates have hats"
At convention we announced our next Fantasy Getaway Contest! The winners of this contest will be getting a trip for themselves and one other guest to Puerto Vallarta Mexico! This trip includes 4 nights at the 5-star Hard Rock Hotel, with all food included. The contest begins now and ends on November 1st, and the trip will be Jan. 28 to Feb. 1. There will be 30 total winners--the top point earners each month from April through October, as well as the 23 top overall point earners. Points earned from now until the end of March will be rolled into April points. You will receive points for any consultants you have enrolled from March 1st on. Any consultant may receive points for completing the PATH and Ignite 90, not just new enrollments. Existing consultants will have 90 days from today, March 25th, to complete the Ignite 90 program. New enrollments will have 90 days from their enrollment date. These kits have replaced the old kits. (I’m super excited about them). New sizes—the items are in pantry cans not in pouches (except the THRIVE express). New Recipes and Updated Recipes—All of the recipes have been refined and updated—even the chicken salad, making them easier and tastier. I’ve tried all of them and I know they are going to be a hit at parties. New Name: Shelf Reliance is changing its name it “Thrive Life” The change will be gradual, some things are already changing on the website and back office. 1. 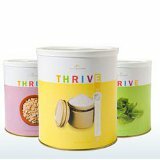 Is Thrive Life a different company then Shelf Reliance? a. Thrive Life is the same company as Shelf Reliance; only our name has changed. The name “Shelf Reliance” will no longer be used in marketing materials, presentations, or other corporate messaging going forward, as everything will be transferred to Thrive Life. 2. When is the name change happening? How soon will things change? a. The name change is effective immediately, but the change itself will be gradual. Corporate websites/pages with “shelfreliance” in the URL will be changed to “thrivelife” within days of convention, but anyone who goes to a Shelf Reliance address will be automatically redirected to the corresponding Thrive Life page. However, it will take considerable time to change all reference to Shelf Reliance on our website, Back Office, and other consultant materials. We will be phasing out our Shelf Reliance print items gradually as we deplete our inventory. All of this may take several months. 3. Will products still say Shelf Reliance on them? a. During the transition period, products and labels may still be branded with the Shelf Reliance logo as we phase out our inventory. After that, all products will bear the Thrive Life name and Logo. 4. 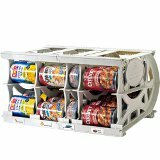 Can I still use and give customers materials that say Shelf Relaince on them? a. We expect that consultants will need to use up their inventory of Shelf Reliance marketing materials, and not all literature and other materials will immediately be available with the Thrive Life branding. However we strongly encourage consultants to change all their marketing materials, websties, blogs, etc. to Thrive Life as soon as is feasible. 5. How will this affect my consultant website? a. All consultant websites will automatically switch from ending in .shelfreliance.com to ending in .thrivelife.com with in days of convention. Any customers wo visit your old.shelfreliance.com site will be automatically redirected to your .thrivelife.com site. 6. What if I had the words “Shelf Reliance” in my consultant website URL before the ending? a. If you used Shelf Reliance in your business name, consultant website URL, or other websites, etc., you will need to manually change them. The name of your business or consultant website URL will be “reserved” for you until June 30th 2013, so that if anyone takes the Thrive Life equivalent of your Shelf Reliance name before then and you notify us, we will take action to ensure the name goes to you. For example, if the name of your business was “Buy Shelf Reliance” and your consultant website URL was buyshelfreliance.com , it will automatically be changed to buyshelfreliance.thrivelife.com. But if you want to change the name of your business to “buyThrivelife” you need to manually change your consultant website URl to buy thrivelife.thrivelife.com You will have until June 30th to make the change, and it if anyone else takes that URL before that date, you may notify us and we will resolve any issues. 7. How will this apply to other websites, blogs, etc. I have created that have the words “Shelf Relaince” in the URL. a. The same rules will apply to other personal sites. You have until June 30th to change “ShelfReliance” to “Thrive Life” in your URl, and if another consultant takes your corresponding Thrive Life URL before that date, you ay notify us and we will resolve the issue. However, we have no jurisdiction over websites created by those who are not consultants, so please be aware of the possibility that “Thrive Life” domains my already be taken by others.